If you’re in the Fullerton area, you probably already know about this great park, my friend Amy told me about last week. 560 E. Silver Pine St. The Fullerton Sports Complex is designed for just that, sports! With a snack bar and three baseball fields complete with backstops, lighting and bleacher seating and two soccer fields are seasonally available, it is set up for leagues and events. A covered playground is available to keep the little ones entertained. Check out all the contraptions and things for climbing and balancing. 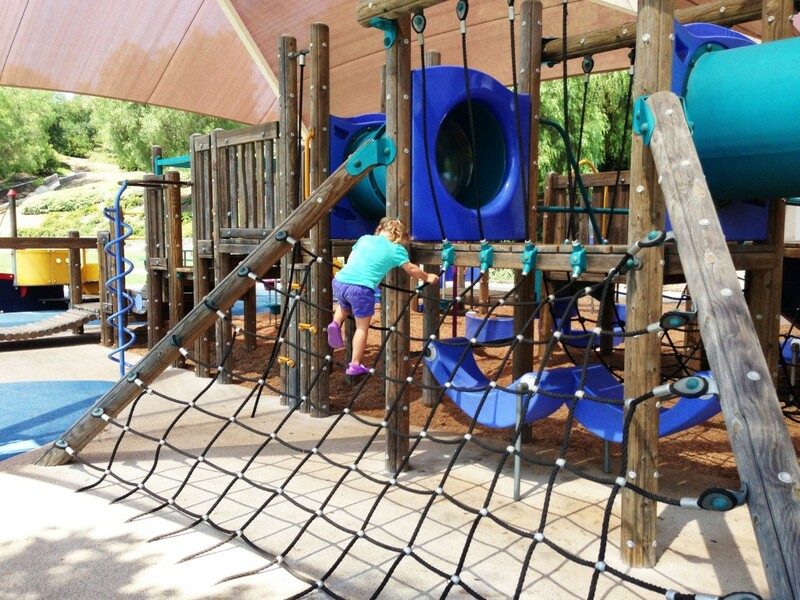 This playground has the padded flooring as well as wood chips, so make sure your little ones wear close toed shoes. Restrooms and picnic tables are available also. 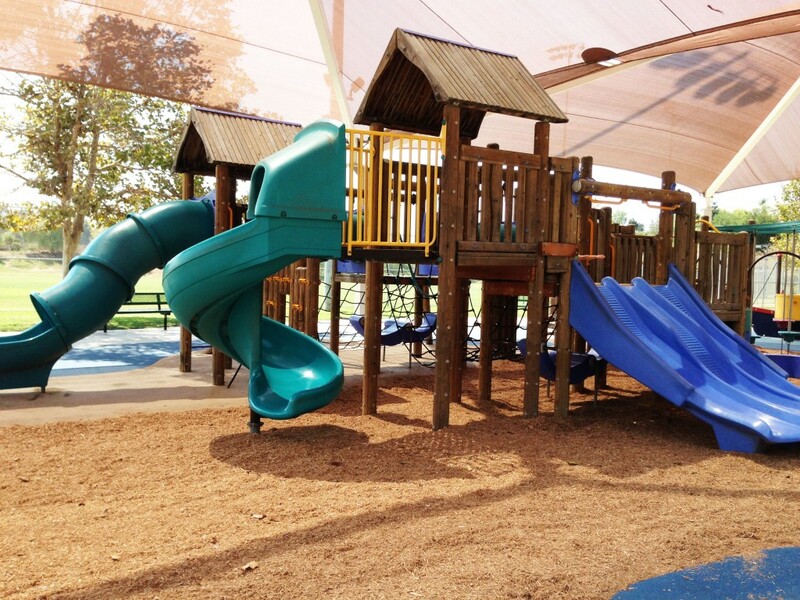 This certainly is a great little park for outdoor activities for the entire family with the wide open grassy area and picnic tables, why not pack up lunch or dinner and make it a picnic meal! 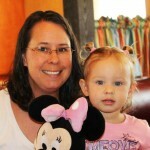 Amy is a mother of two who has a passion for Disney and photography. She loves outdoor adventures with her children. 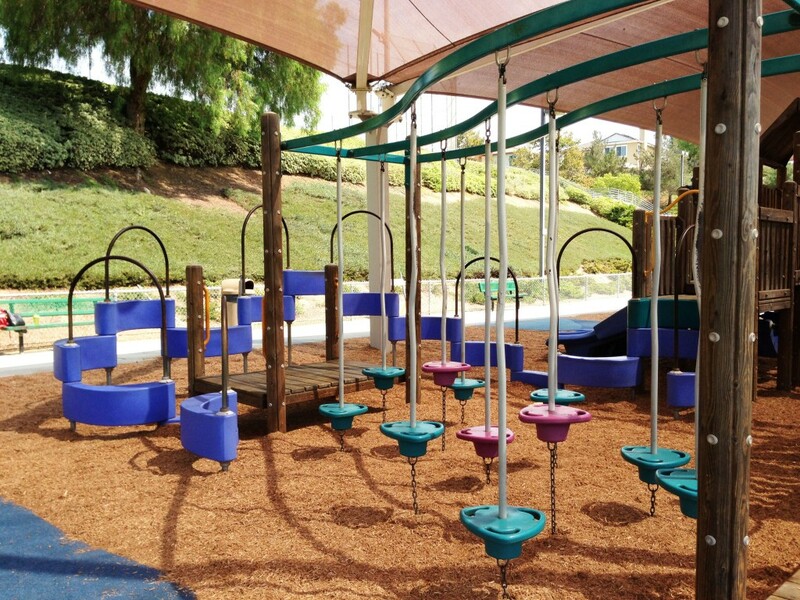 Do you recall if there are swings at this park?